Normal activities associated with children are playing, sports and education and then as they get older they become interested in relationships, so you would think the last thing children are interested in is child meditation and to a degree most children would scoff at the mere suggestion of performing meditation. I would imagine the normal response from parents as well at the idea of their children engaging in meditation sessions would be a negative or a some what humorous reaction to say the least. But you would be wrong to dismiss the idea because science is now suggesting that child meditation is an essential tool to drastically improve almost every area of their life. You may think that your child is fine, but you can not always judge what's going on the inside by how they appear on the outside and many child would greatly benefit from a tool that would help them learn to manage their emotions. So how do you go about trying to convince parents that their children would be better off physically, mentally, emotionally and intellectually after some regular meditation sessions. After all child meditation is not a path most parents would normally take into consideration but it may be time to have a serious re-think about this subject if you want the best for your children. The benefits of meditation are well known for adults but are you aware that child meditation can have a profound positive impact on your child’s development and growth because very few people teach their children about the importance of relaxation and managing their emotions. But don't just take my word for it; world -renowned vegetarian quantum physicist, Dr. John Hagelin has scientific evidence to support these claims. His credentials are second to none; he received his Ph. D from Harvard University, USA. He has led studies on the nature of consciousness, and is a leader figure for those working to bring together science and our spiritual heritage. Dr. Hagelin has developed the "Grand Unified Field Theory based on the Superstring," a formulation he says achieves Einstein's vision and the application of which can bring about peace in our world. Dr John Hagelin is so passionate about the huge personal and educational advantages of meditation he strongly believes that all schools and educational systems should add should add medication to their curriculum. Some of the positive results that have been uncovered through child medication are enhanced levels of performance, psychological changes for the better and an improved quality of life. There have been over 700 s=studies which proves that meditation improves learning abilities, calms them down and helps to get rid of the growing epidemic ADHD. Dr John Hagelin then goes on to state that child medication can help to relax and calm down children who are currently under far too much pressure to pass examines whilst at the same time they have to learn to cope with the transition from the child world to adult world. His findings also reveal that child meditation can improve academics., accelerate learning, increase their creativity, increase their self esteem levels, improve concentration, reduce stress and anxiety, decrease violence, but it's benefits don't stop there it also helps them to increase their intelligence making it easier and less stressful to pass examines and cope with the challenges ahead. . The video above is an interview with Dr John Hagelin where towards the end of the video he explains why you should consider encouraging your children to take part in child meditation. He further states that child meditation will help your children to develop a heightened state of awareness, this deeply relaxed to state will allow them to tap into the universal intelligent mind, sometimes known as the higher self or the higher mind of God. This calm and peaceful state will allow them access to a higher source of intelligence, this is the source of all creativity and genius where the likes of Einstein, all great musicians, inventors, writers, Charles Darwin to name a few all entered to discover great findings or write master pieces. This universal global information network can be accessed once you reduce your stress levels, deeply relax and expand your inner awareness such as you achieve through regular meditation. 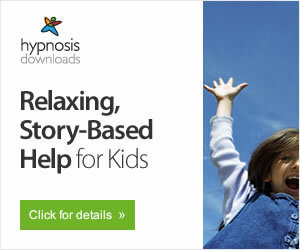 If you want what’s best for your children why not encourage them to participate in some relaxation techniques for children. You have to remember it’s not just the educational benefits you will gain, child meditation is also therapeutic, deeply calming and relaxing especially as more children are becoming over hyped up due to the stresses inflicted on them through playing play station and video games or the sometimes unnecessary pressure which is put on them to do well in their exams.. Meditation will allow your children to tap into and harness the other 95 % of their mind that most people never use, some schools in the United States are already introducing child meditation and the results so far have been nothing but astounding in helping them to grow and develop academically and spiritually. Meditation will expand your awareness and take you inwards to the source of all thought, and it's not about visualization, you just need to enter this deeply relaxed state which will allow you to leave your normal short range of focus. This will improve your child's attention span, increase their IQ levels, improve their brain function thus speeding up their learning by helping to promote and accelerate brain development much quicker than the conventional ways of learning. Some Buddihsts and meditation gurus spend years learning this art. It is very doubtful that you will get your children to spend hours learning the art of meditating yet you can achieve the same levels of inner peace in a fraction of the time and you will have a better chance of getting them to listen to a short but powerfully calming cd or mp3 session. The research has just been published as "The Meditation Program" and you can learn more, and even download your own audio version by visiting the official site.